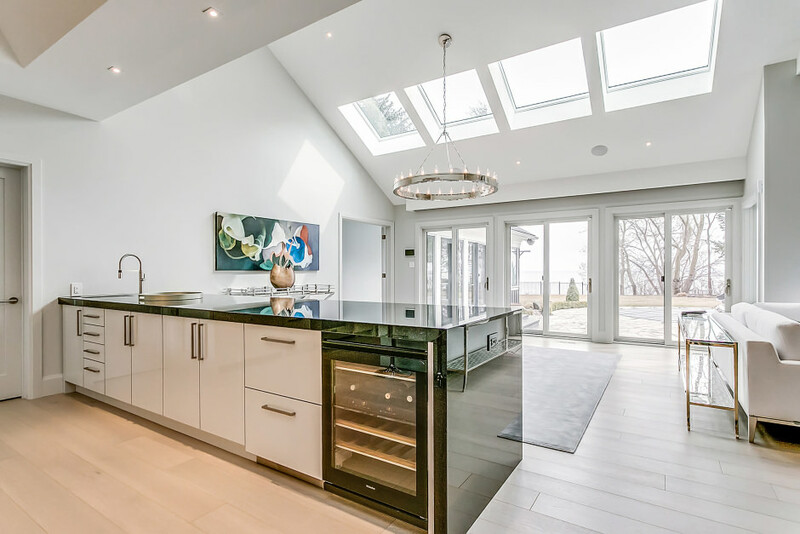 Fabulous kitchen by Stutt offers granite counters, painted glass backsplash, professional grade Thermador appliances, and a centre island with glass breakfast bar. 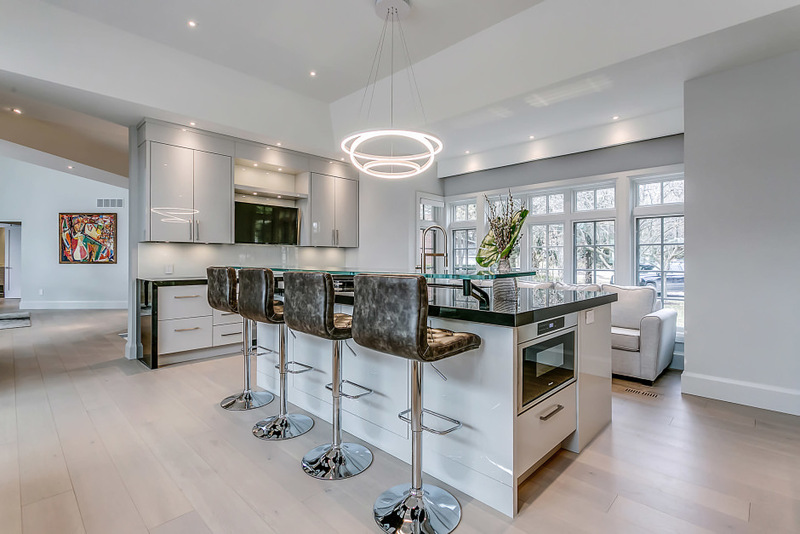 The kitchen space goes on to provide a servery counter to the dining room, complete with prep sink, Miele beverage fridge, custom panelled fridge drawers, and illuminated cabinetry with frosted glass doors. 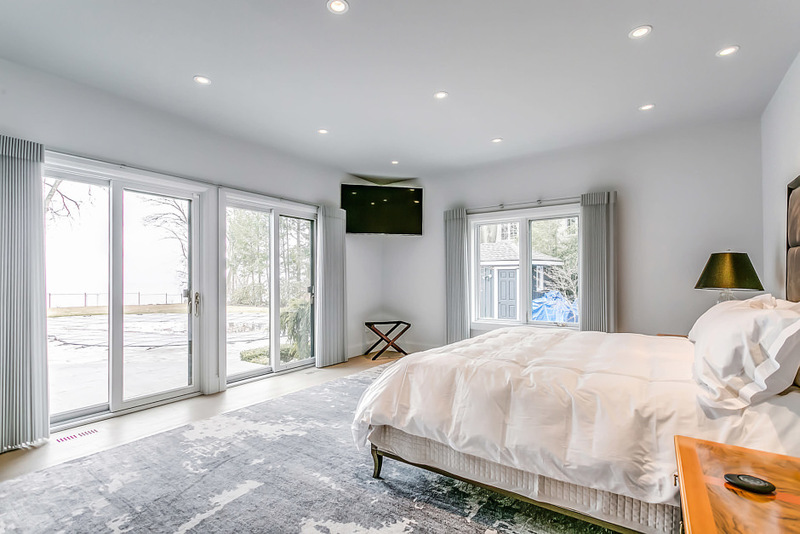 The primary master bedroom boasts a fully outfitted dressing room and fabulous marble and glass clad ensuite, while a secondary master bedroom provides its own ensuite with double vanity and generous walk-in closet, and walks out to its own porch area. 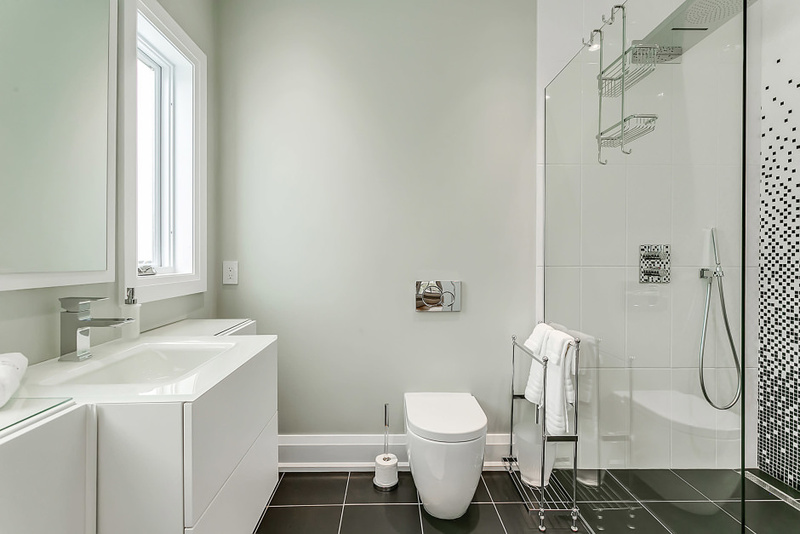 The third bedroom also boasts a luxurious private ensuite. Wide plank, engineered White Oak floors grace the principal rooms on the main level, while a double-sided contemporary gas fireplace provides a striking focal point. Control 4 touch-screen system operates the lights, built-in audio, fireplace and TVs. A video surveillance system provides peace of mind for your family. 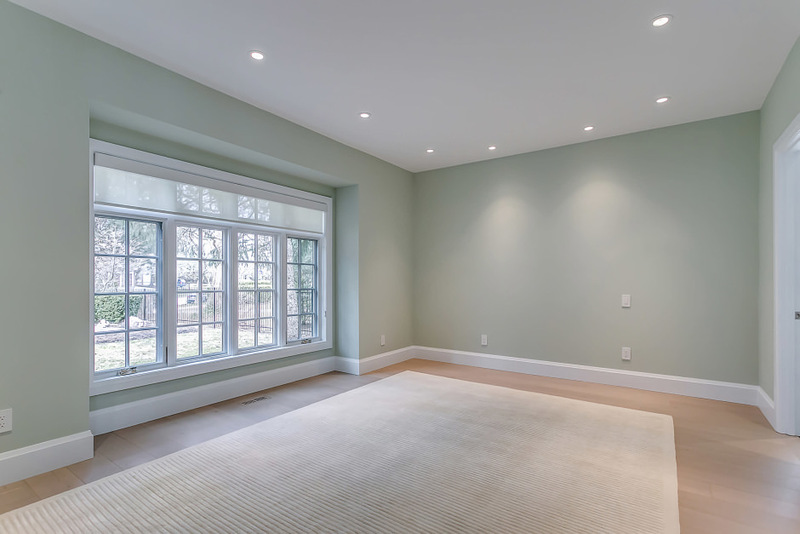 The bright, walk-out lower level provides a fourth bedroom/nanny suite with full bathroom, a generous rec room with gas fireplace, and a theatre room. Outside, you’ll find beautifully manicured gardens, and the kind of backyard that dreams are made of. There’s a built-in stainless steel barbecue, and a gunite pool with extensive flagstone deck, all overlooking the lake. 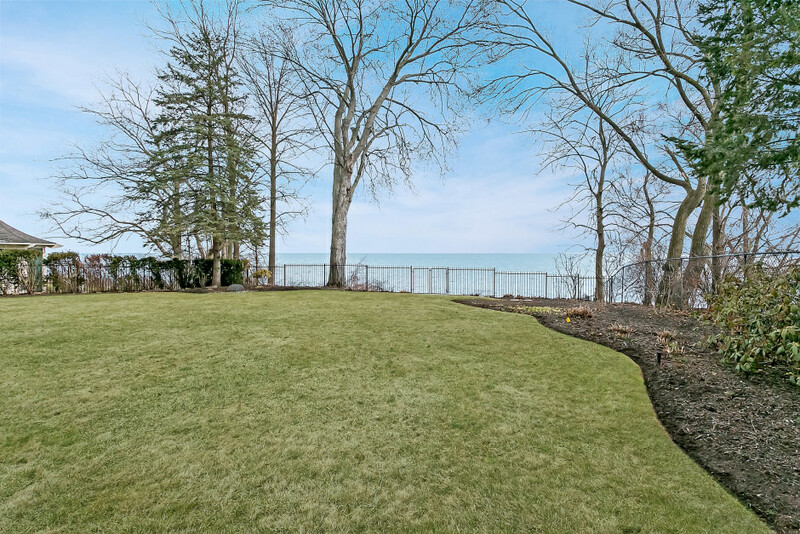 There is no public walkway from the rear lot line to the lake, allowing for your private enjoyment. 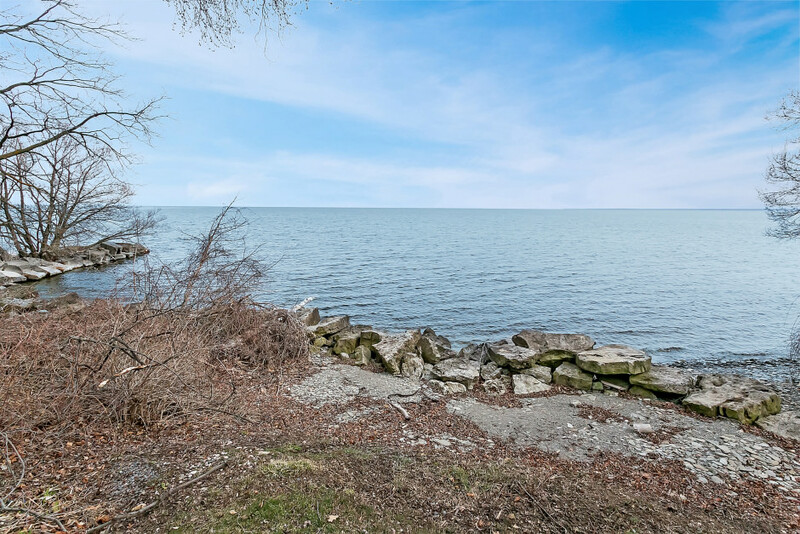 Close to Oakville Trafalgar High School and renowned independent schools. Easy access to QEW and GO Station, short commute to downtown Toronto.